Why is my worm tea pale yellow? Comments for Why is my worm tea pale yellow? it is difficult to say what exactly went wrong as proper worm tea should be dark brown. The first question would be if you have brewed proper worm tea or if you have tapped of the excess liquid from your wormery which usually is referred to as leachate? 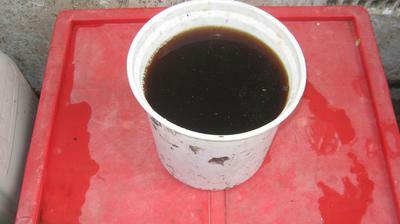 But even this leachate can be quite good if the water or other excess liquids are slowly running through a worm bin that has lots of worm castings in it. Those worm castings give the liquids the dark color as some parts of them get absorbed by the liquids and are drained out of the bin.